Do you enjoy traveling in your car, caravan, or RV for a long period of time? Do you even practically live in these vehicles? Then you will most probably need 5 gallon buckets stocked up in your temporary mobile home. The following discusses the uses of 5 gallon buckets for travelers and nomads. Let's start with their real original function: as containers. Put a 5 gallon bucket in your caravan and store your tools or dry/can foods. When you want to make use of the bucket for something else, remove all the items and utilize the pail for one of these functions below. If you line a bucket with a plastic liner, you can use it as a trash bin. Especially in a long journey where you cannot dispose your rubbish anywhere, this trash bin will serve its function alright. Long travels will involve some washing dirty clothes. You can use your 5 gallon pail for this. Just do it the conventional way – combine water and detergent in the bucket and wash the clothes in it – or transform it into some sort of motor-less washing machine. You don't have too much space in your vehicle in most cases. So you probably cannot bring your camping chairs or folding chairs. But you may want to sit outside sometimes. In this case, you can utilize your 5 gallon pails as seats. Just turn them over and put some cushion to add comfort. If you don't have it, it is fine, too. The long roads will get your vehicle dirty at some point. Either it is dusty due to the dry climate or muddy in the wet climate. 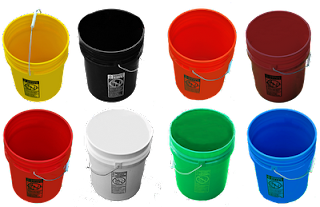 You can use the 5 gallon buckets to wash your car or RV. Again, you probably will get to a condition where you are in nowhere. When nature calls and your vehicle is not equipped with a toilet, you will need to be creative. Your 5 gallon pail can be turned into a portable toilet. All you need are just a small garbage bag, some mulch and 2 pieces of boards. Then follow the instruction in the link above. Voila, you get your very own DIY portable toilet. 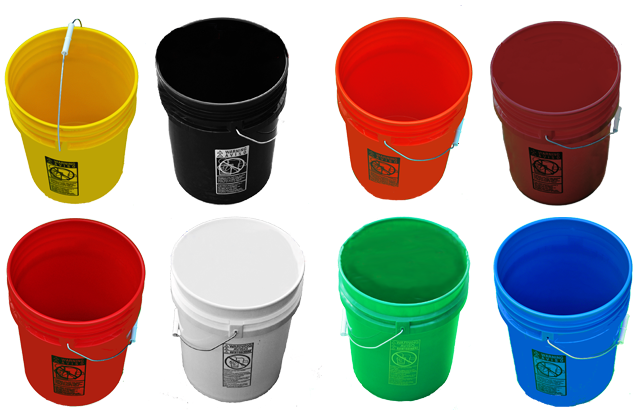 You could probably find some other functions of 5 gallon buckets as you are in your journey. But one thing that everyone has to admit is that 5 gallon pails are too versatile to miss in your travel.